Tokyo Electric, the utility decommissioning the Fukushima Daiichi nuclear power plant in Japan, determined that human error is the most likely cause for the alarms which stopped work removing spent fuel assemblies from the Reactor 4 spent fuel pool. 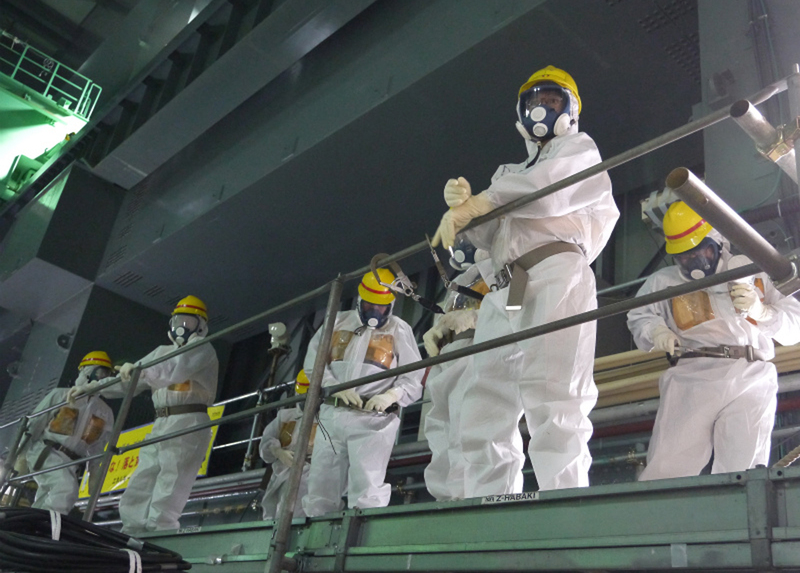 TEPCO officials believe that around 9:30 AM on Wednesday, a worker attempted to operate a crane to remove a spent fuel cask which had been loaded with 22 spent fuel assemblies from the spent fuel pool while an auxiliary brake was applied. Because the brake was on, excess current was directed to the motor of the crane, which locked operations and set off an alarm. The worker noticed the problem and attempted to correct it by releasing the brake and retried the crane, but the motor would not operate after the alarm had been activated. According to the utility, the crane motor was not damaged as a result of the error. Workers are reviewing the work process and will likely resume work operations soon.